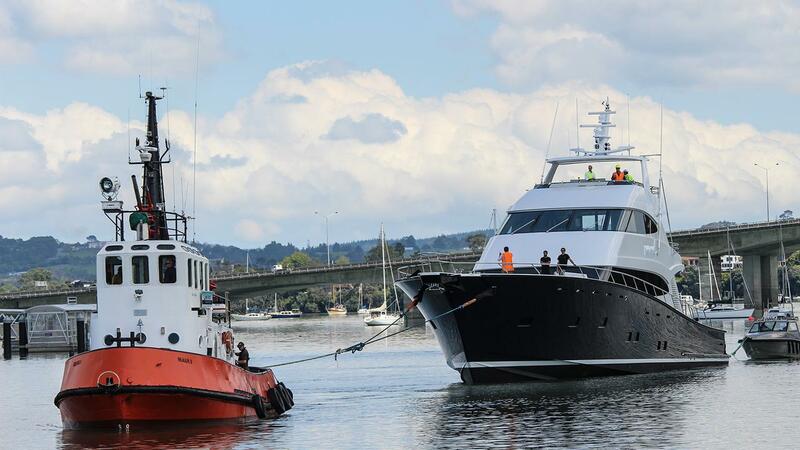 The 39.5-meter all-carbon sportfisher named Hull 1015 was launched on the high tide by the New Zealand builder Yachting Developments on November 23. 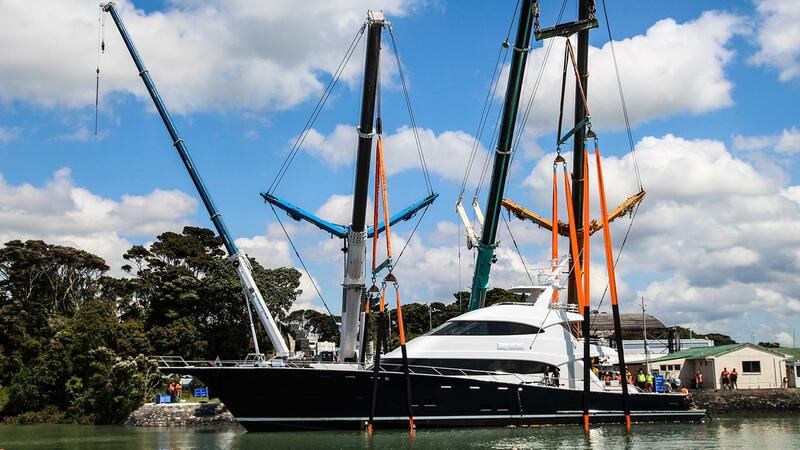 Yacht Harbour closely followed developments on this world’s largest carbon sportfish yacht project, from the moment the hull saw the light of day in December 2016, until now that the three-deck motor yacht left her build shed in Auckland. Hull 1015 was commissioned in 2105 by an international sportfisherman, who opted for Yachting Developments because of their expertise in yachts with carbon hull and superstructure, which are, in fact, considered to be the lightest and fastest of their kind. Moreover, the scale of the 267GT boat allowed for commercial-grade of 3.100hp MTU diesel engines and advanced VEEM gyro stabilizers. Whilst Michael Peters Yacht Design was in charge of the exterior of the yacht, her “contemporary classic” interior was created by Naylor Booth Associate in collaboration with the owner himself. The layout sleeps up to 10 guests in 4 lower deck staterooms, including the owner’s master suite, and up for 6 members of crew. The sportfisher is scheduled for delivery by the end of 2017.